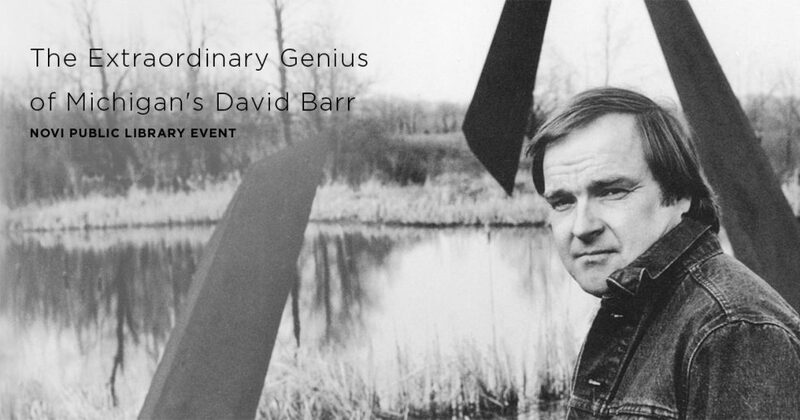 Novi Public Library is hosting a presentation about the life and work of artist David Barr, who is also the founder of Michigan Legacy Art Park. 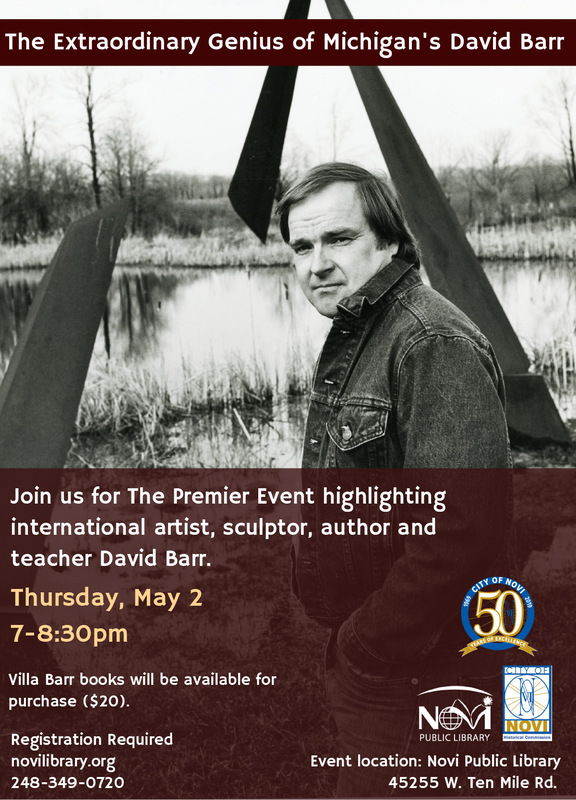 The event takes place on Thursday, May 2, 2019 at 7 PM – 8:30 PM. Details are available on Facebook.